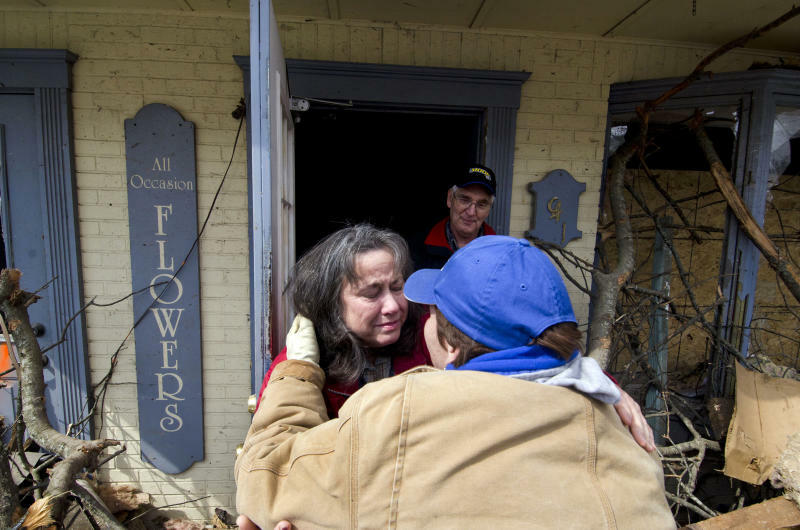 WEST LIBERTY, Ky. (AP) — Across the South and Midwest, survivors emerged Saturday to find blue sky and splinters where homes once stood, cars flung into buildings and communications crippled after dozens of tornadoes chainsawed through a region of millions, leveling small towns along the way. 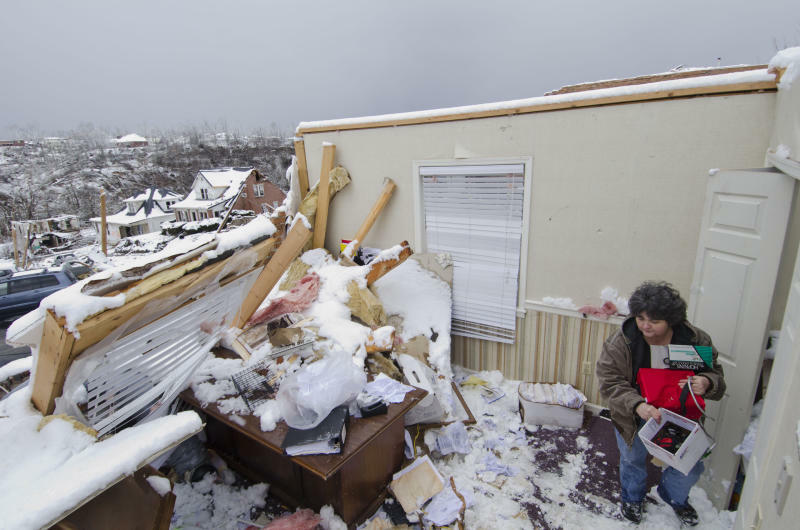 "Honey, I felt the wind and I said, 'Oh my God,' and then it (the house) was gone. I looked up and I could see the sky." The National Weather Service said the four twisters to hit Kentucky were the worst in the region in 24 years. 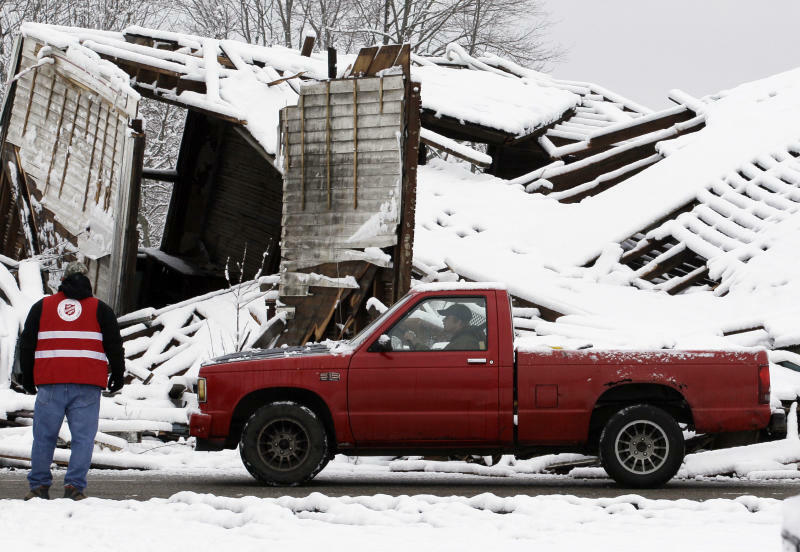 In Indiana, an EF-4 tornado — the second-highest on the Fujita scale that measures tornadic force — packing 175 mph winds hit the town of Henryville, and stayed on the ground for more than 50 miles.